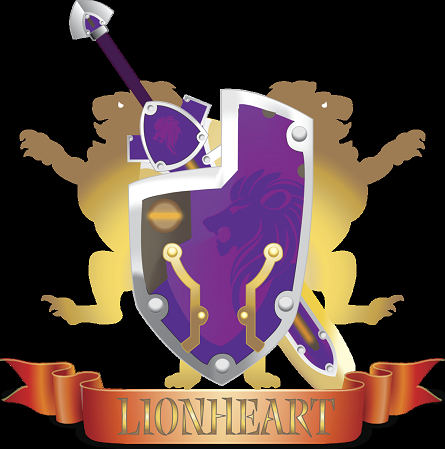 I plan on making some contests in the future, and I’ll notify you all on the Lionheart Forums. Here are a few ideas that might make an appearance in the Forums. Requirements: You are only allowed to wear proto gear and a beast basher (not the big one) and there will be groups of 2-4 people (However, 1 person in the group has to spectate). Rules: No trinkets and pets are allowed as well. You can’t skip through enemies as well, but you can skip minerals and prize boxes if you wish. Each player is allowed to use ONLY 1 spark on the entire run, any more uses of sparks will result in a DQ. There are also no second tries, and the team with the shortest amount of time wins. You’ll need proof that you have completed your run (If you use steam or have a steam user in your group, he/she will have to type in guild chat that you have completed the run, and you’ll also have to send a photo near the elevator at the end of the boss) (You can also kick someone out and let me see if you have fulfilled the requirements, don’t worry, the timer will stop as soon as you said that you finished). Also, you have to do this on normal. Rules: I (CrimsonStreak) will pick which gate you guys have to do and you’ll have to reach the core before anyone else (And you should start at depth 0, otherwise you’re disqualified)(You also have to do this on normal mode). I can pretty much tell if you reached the core by looking at the social bar, but it’ll only count if you say “I’ve reached the core” first in guild chat. Yes you can rush through every level, and yes you can use as many revs as you want. You can use any gear you want, but you can only solo it. Requirements: A unheated non-uv flourish/snarble barb (this is your only weapon) and vanguard rank. Any type of armor or trinkets is allowed in this contest. However, an officer or another vanguard or I will have to spectate your party to see if you have the required equipment and completed the task. You can use as many sparks as you want, but it’ll add 10 seconds to the clock. You can pick which people you want in each group as long as you have 3 fighters and 1 spectator. Also, even if you finished the task, you have to say “I’m done with the task” in guild chat, regardless if the spectator has seen you finish it. Alongside that, the group who has finished with the least amount of time wins. Requirements: Defender Elite or above. Rules: You can rush through this level if you want, but keep in mind, no shields are allowed. You are allowed to bring any NON-ELEMENTAL weapons and trinkets. You are allowed to use your pets however. You can pick anyone in your group as long as there is a trustworthy spectator. You are allowed to use any amount of sparks, but it’ll add 10 seconds to the timer. Like Newbies vs. snarbolax and combination of toothpicks and jellies, you have to say “I’m finished with my task” in guild chat. All the contests will begin at the Guild Hall Meeting (War) Room. Until then, keep an eye out on the Lionheart Forums. I just realized that i can't really make these contests unless Mawa actually approves of this. Oh well, these are just suggestions. You have to mail her what you're going to do and when.